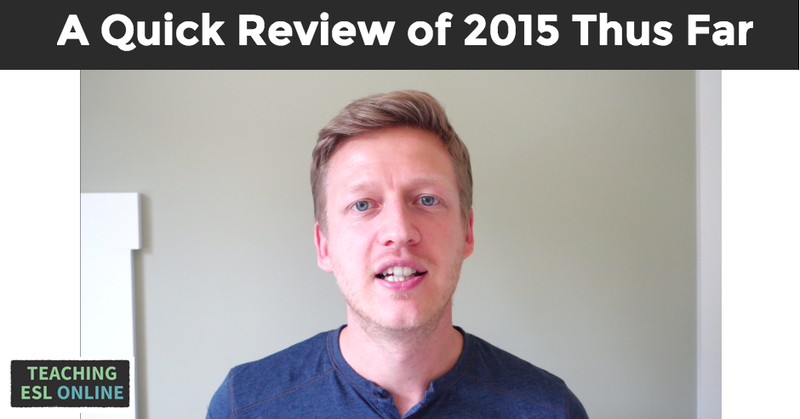 In one of my recent updates, I talked about how pleased I was with how 2015 was going so far. Sales for my courses have been great and I’m very proud of the positive results people have been getting from my training. I go through three things that I’m struggling with at the moment. I hope you find this useful for your own online teaching journey. I have outsourced a few tasks this year, but I want to do more. The problem I’m facing is that I am apprehensive about having others do things that can be interpreted in different ways. But customer service, video summary writing, and social media commenting are examples of tasks that can have many different outcomes. The way we communicate with our learners through email, social media, sales pages, videos etc. is vital. But I am reaching a stage where I’ll need to pass certain tasks on. What I’m struggling with is having someone do this without my voice being lost. I made the decision to focus on my current courses this year instead of creating new ones. I know that as my audience grows, more people will buy my courses. But I also want to create new products because I know that they will be valuable and it will help me bring in more income. What I’m struggling with is knowing how these courses are going to fit in with the ones I already have. I’ve found myself checking stats too often during the day. I go and check Google Analytics to see who is on my site, Facebook to see new notifications, and YouTube to check my stats. I got out of this habit a few months ago by using StayFocusd and RescueTime. I thought I had broken this habit. But I guess it’s time to use these tools again. No matter where we’re at with our online teaching, we’re always going to face obstacles. I try to see these problems as challenges that I have to solve. And when I solve them, my business will benefit. That’s why I’m committed to getting over the struggles that I’ve laid out in the video above. Leave comments below. Thanks for reading. 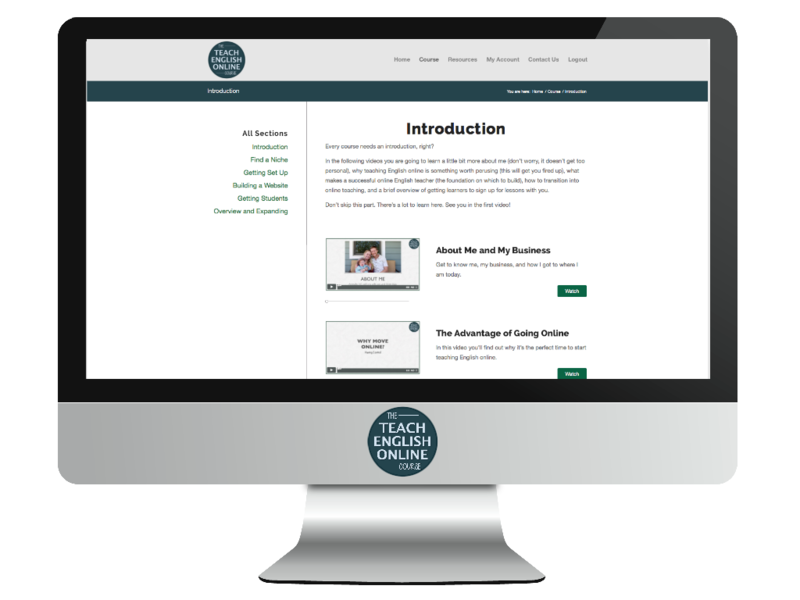 Want to become an independent teacher who is in control of their income and their teaching? Join TEOC today! I wanted to earn more than I was earning in Spain by teaching one-to-one lessons online. I soon reached this goal and, for a while, I was comfortable with my situation. I didn’t have any aspirations to expand on what I was doing. But then I started to experiment and, now, all my income – for To Fluency – comes from The To Fluency Program (an online course). In this video, I lay out the different ways you can earn as an online teacher and give advice for each one. This is where I recommend starting. It’s easier to get learners to sign up to one-to-one lessons, and the lifetime value of each student is higher than other areas. Compared to products and online courses, there isn’t anything you need to create beforehand – you can go from lesson to lesson, planning when necessary. Additionally, you’ll learn so much from working with individual students, and after some time, you’ll be able to solve common problems through a product or a course (see below). This is where you have two or more learners in a live class. I had a couple of group courses going in early 2014. I really enjoyed these lessons and I’m thinking about doing this again in the future. I used the Zoom platform to teach these courses. The biggest upside is that you can earn more per hour doing group lessons (4 students paying $15 vs one student paying $30, for example). But they are harder to get going as you need to find two or more learners who want to take lessons at the same time for a number of weeks. You can offer writing and/or speaking feedback asynchronously using tools such as Google Drive and SoundCloud. This can be a stand-alone service or you could offer this in addition to your one-to-one lessons. I have offered feedback in this way for both exams and presentations, and I currently offer a speaking evaluation as part of my online course. This is when things start to become more passive. You’ll need to have a relatively large audience (having an email list is a must) in order to sell products like ebooks. I recommend starting small and building from there. Getting this set up is much easier to do these days. You can use something like Selz or Gumroad to take care of payments and the delivery of your products. This is my main focus right now. 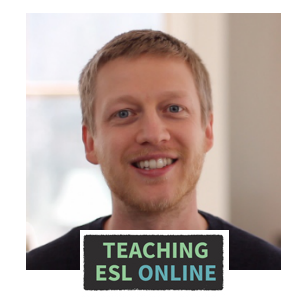 I have an online course for English learners and one for teachers. My first course was delivered on a third-party platform, but now I host them on my own websites. Again, there are plugins and other tools to make this relatively easy to do (I say relative because there is a process involved to get this set up). There is huge potential here if you get things right. Instead of creating your own products, you can sell things that other people have made. Doing this will typically earn you a commission of 10-75% of the sale. I don’t do this for To Fluency, but I do have affiliate links on this blog. You can also advertise on YouTube or on your own site. It takes big numbers to make a decent income – for example, you’ll make $0.50-5 for every 1,000 views on YouTube – but most teachers advertise to add to their bottom line. Share your experience with these any of the above and let me know what your long-terms goals are. 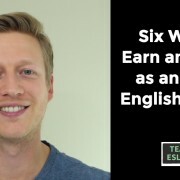 Inside The Teach English Online Course, I go through the different ways to earn in more depth. You’ll also learn how to build an audience and how to sell to this audience. According to my writing app, I write between 12 – 15,000 words per week. This number includes words from articles, emails, social media posting, and other areas. I have introduced something new into my writing process that helps improve my articles and reduce the amount of mistakes I make. 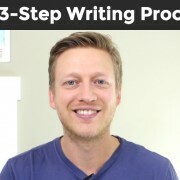 In the video below, I go through the different stages of publishing something and share my new trick. Get your first draft done. Write down all your ideas and don’t worry about crafting the perfect article right now. This is all about getting your ideas onto paper (or, onto WordPress!). I like to do this in one sitting. Go through your first draft and make changes. Take out things that don’t work, move paragraphs around, and add in anything that makes the article flow better. Don’t worry too much about grammar and little mistakes right now. If you see something, change it – but don’t go looking for them. I then read the article out loud like I am doing a presentation. It helps me notice whether the article flows and helps me spot mistakes I make. You could get someone to proofread your articles. However, for me at least, this will add up and I need a very quick turnaround. Do you have any tips about writing? In this video, I talk about how I am progressing with my goals for 2015. I will have a full review at the end of the year, but I have been strategizing a lot recently and thought the time was apt for a quick update. Below you can find the notes from the video. This means to have more English learners who subscribe to my emails, subscribe on YouTube, follow me on Facebook etc. It also means having a more engaged audience. I have changed the way I use social media and email marketing over the past few months. I am looking for conversations, engagement, and interaction in addition to numbers. I have been focusing on Periscope recently for this reason. In 2014, I didn’t have a plan for how often I would post. I changed that in 2015 and, thus far, have kept up with it. 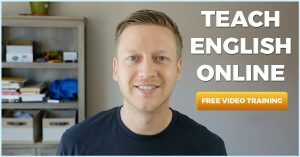 I have published at least one video every week for English learners and, except for when I was running a promotion or having a website, I have posted weekly on this blog. Creating content (articles, videos etc.) is how I reach more people in an organic way. Having this schedule stops me from putting things off and makes sure that I post on a consistent basis. I have two courses. One for English learners and one for English teachers. I was thinking about creating a third one as a separate brand, but I decided to double down on what I already had. I’ve been busy this year with working with those inside the courses, improving my sales funnel, and adding to the courses. I’m really happy with how things have gone in this area. I have been using a lot of apps to automate processes and to become more productive (see apps for online teachers). I have also outsourced various tasks including lessons and transcripts. This has been a huge help as it frees up my time. I need to improve upon of the analytical side of my business. I want to have a better overview of where sales come from, for example. My days are quite limited. I only have from 9-4 to work on my business. I sometimes get an hour in the evening and the odd hour here and there at the weekend. Therefore, making my hours more productive has been a priority and I feel I’m achieving this (note: I have been focusing on my health and find this makes a huge difference). I have also become quicker at doing certain tasks. For example, I’m making videos more quickly, not procrastinating as much over small decisions, and generally being more efficient. How has your 2015 been so far? Let me know in the comment section below.